Let the one among you who is without sin be the first to throw a stone at her. By Fr. Steve Dos Santos, C.PP.S. Jesus does something similar in today’s Gospel. He doesn’t ask the scribes and Pharisees, “Where is the man she was sinning with?” He doesn’t suggest that there was nothing wrong with what she had done. Instead he encourages the one in the crowd who is sinless to throw the first stone. He calls them to recognize that they are no holier than she is. The crowd was so caught up in trying to punish her for her sin that they were looking right past the plank that was stuck squarely in their own eyes. The woman’s sin merited death according to the Law, and Jesus doesn’t say otherwise. Yet he does find a way forward. 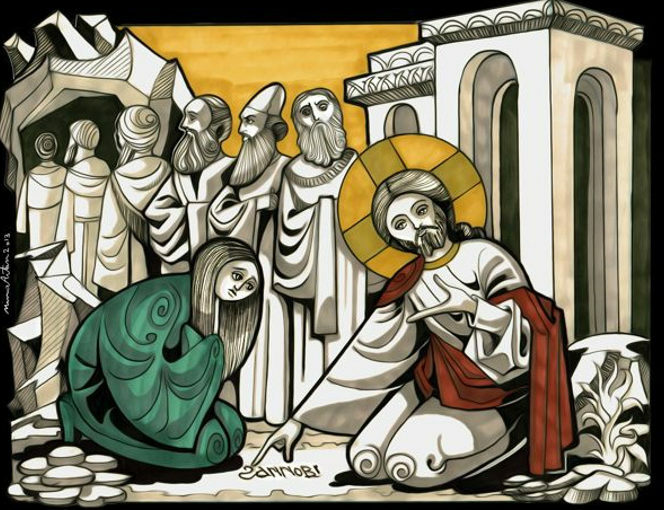 Jesus shows her mercy and gives her life. In challenging the crowd to look at their own sinfulness, he is also inviting them to open themselves to the same mercy that he shows the woman. As we move toward the Paschal Triduum, Jesus is inviting us to look inwardly and open ourselves to God’s mercy. We are the woman caught in adultery and the judgmental men in the crowd. We all need to experience that mercy. Jesus is inviting us to acknowledge our own broken sinfulness and to trust in his mercy alone. It is a reality of our human nature that we readily acknowledge the faults of those around us, while often ignoring our own. We see the error of those around us, and focus our attention outwardly. Correcting the other is easier than correcting ourselves. But the Christian is called to something more. We are called to a life of conversion, in which we acknowledge our own sinfulness. Fr. 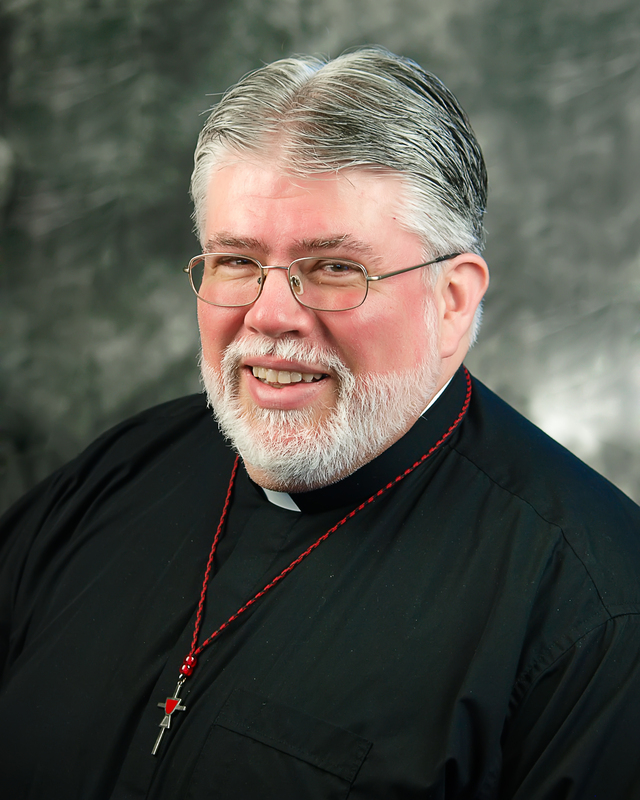 Steve Dos Santos, C.PP.S., is the director of vocation ministry for the Missionaries of the Precious Blood, Cincinnati Province.